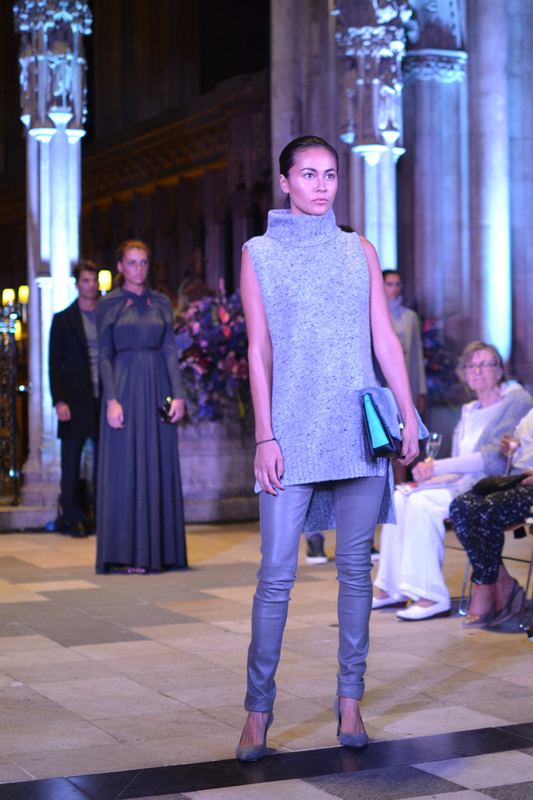 Last night I was lucky enough to attend the Harvey Nichols AW14 presentation, held in Bristol Cathedral. I've been to a few of the HN shows and they just get better and better, from venue to styling, this one was definitely one of the best I've seen! 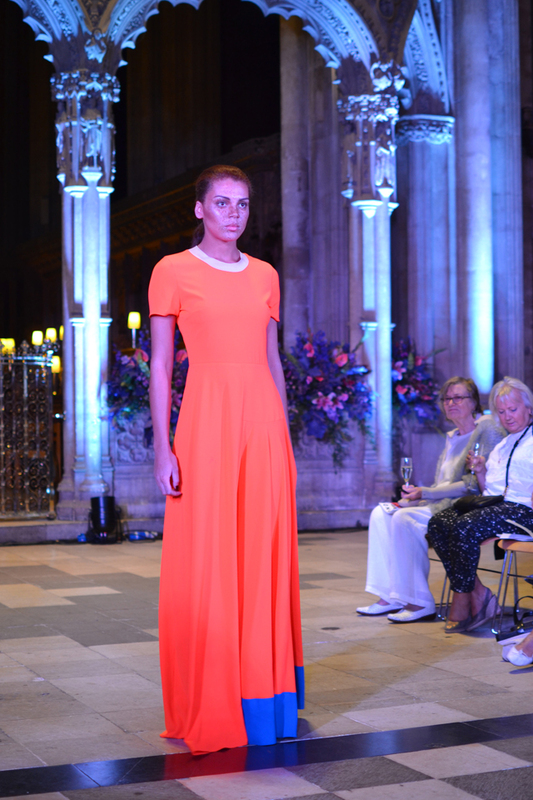 The themes of the show encompassed everything from tonal dressing to formal evening wear, I had a great seat so I was able to take lots of pictures of my favourite looks. I particularly liked the swooshy jumpsuit/duster coat combo and of course the party dresses were incredible as always. 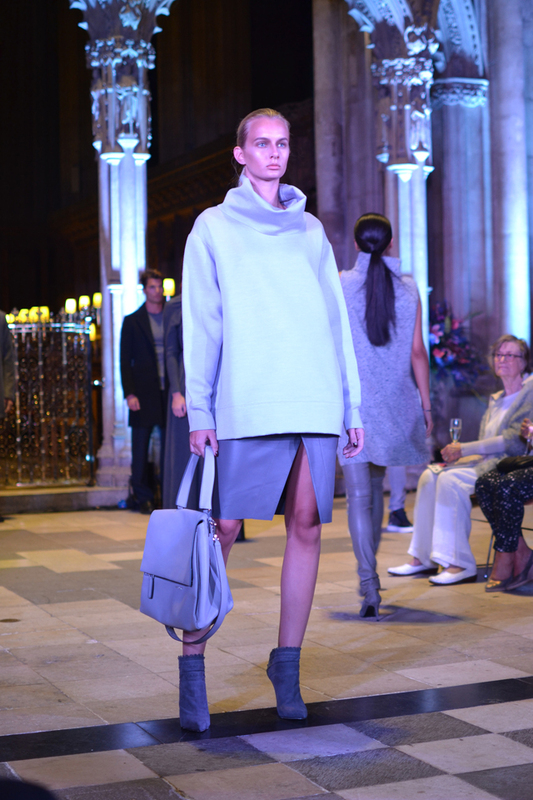 Menswear was also showcased alongside the womens clothing but the womenswear was outstanding, I loved the tonal grey on grey dressing, the clean cuts and the folded fabrics. 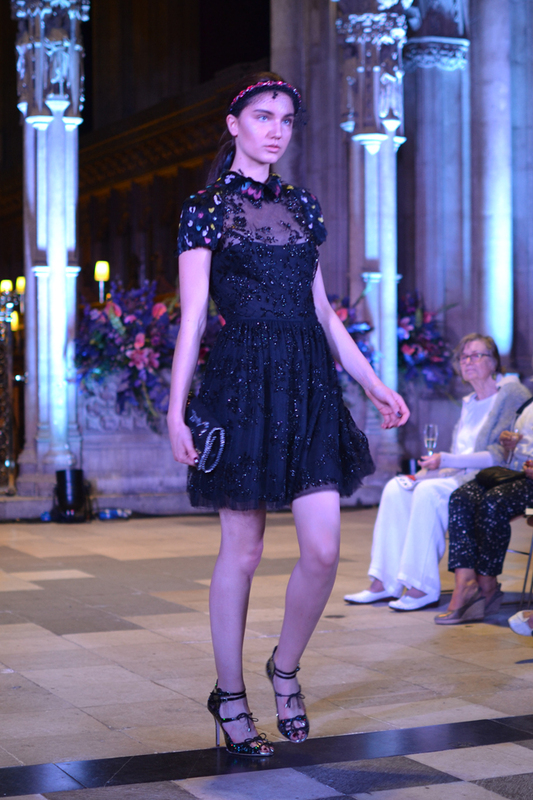 Texture was a key theme too with lace, satin, plisse pleats and leathers all making a debut. I am quite colour shy so head to toe bright red was a strong look, but perhaps I won't be trying it; although the googly eyed shoes showcased in that particular look were incredible! 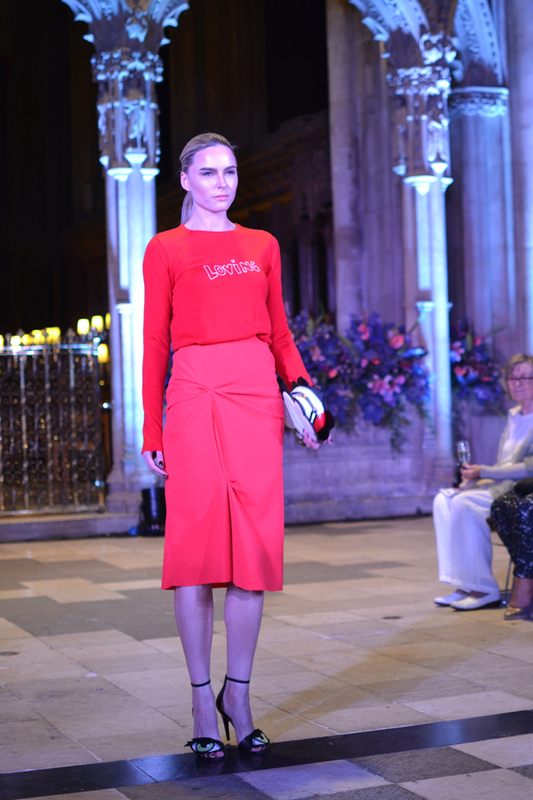 All the pieces shown in my photographs are available to buy on the Harvey Nichols website here. Thank you Harvey Nichols for a lovely evening!